This family-owned business actually makes house calls, offering patients in the Metro Boston area the comfort and convenience of in-home medical testing and fast, accurate results. In operation for over 40 years, the owners asked us to design a new logo with a fresh, modern feel. 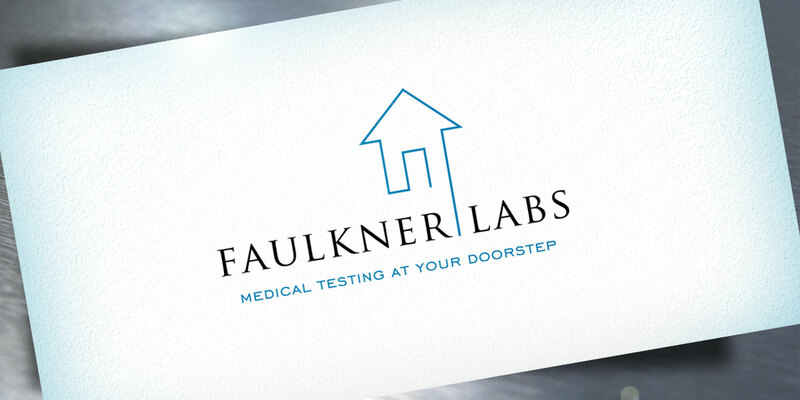 We first recommended changing their name from Faulkner Medical Laboratories to Faulkner Labs and then went to work on the logo. Our design goal was to create a mark that conveyed a high-tech feel and reinforced the primary company differentiator.